Bensons Chrysanthemum Quilt Cover are beautifully crafted to give that super soft finish our bedlinen is famous for. We love this range so much we decided to ALWAYS keep it at the BEST BUY PRICE for our customers. Do you love Cotton Sateen as much as we do? Our stunning collection of Chrysanthemum Quilt Cover Sets are beautifully crafted to give that super soft finish our bedlinen is famous for. We love this range so much we decided to ALWAYS keep it at the BEST BUY PRICE for our customers. 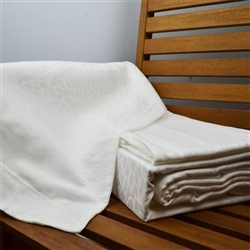 Quilt Cover and pillowcases are finished with an elegant 5cm shammed edge. Designed for exceptional softness that's easy on your budget, our PB Essentials Bedding is simply the best value you can find. Available in a huge selection of colours and sizes.